A lot of people complaint of having cough allergy, which is mostly triggered by the increasing levels of air pollution. If you also happen to suffer from the same and are looking for an effective all-natural home remedy, then we're here to help. Winters are here in full swing and several parts of India are reeling under the effects of air pollution caused due to a variety of reasons. During the chilly months, our immunity levels tend to take a dip and the smog in the air could worsen the condition. A lot of people complain of having cough allergy, which is mostly triggered by the increasing levels of air pollution. If you also happen to suffer from the same and are looking for an effective all-natural home remedy, then we're here to help. 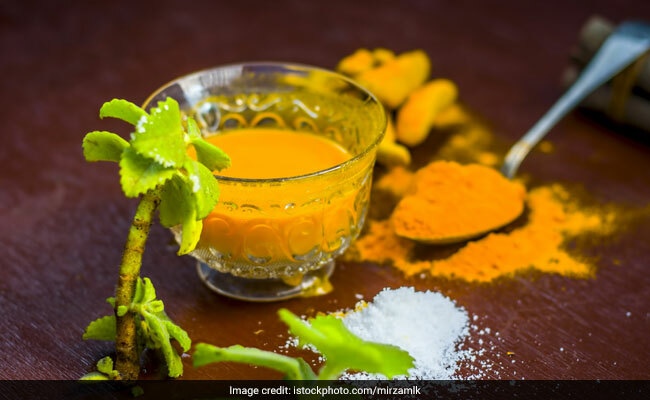 According to Ayurveda Expert Dr. Ashutosh Gautam, "A concoction of haldi, ginger, tulsi leaves and honey can help in getting relief from cough allergy. Haldi has anti-allergic/antioxidant action. Whereas, tulsi has antimicrobial properties and ursolic acid, which eases inflamed airways, which further helps in reducing cough." To begin with, take a bowl and add water in it. Bring it to boil. Then add haldi, ginger, tulsi leaves in the boiling water. Sieve till half cup remains. Add honey in the mixture after removing it from the gas stove. If throat irritation is severe, you may also add mulethi/liquorice in the concoction. Note: You can consume this Ayurvedic concoction twice a day for effective results. The natural ingredients used in the making of this concoction will also help in giving your immunity a much-needed boost. So get into the kitchen, bring together all the ingredients, prepare this concoction and say bye-bye to cough allergy.